Brief Description: ReptiFresh® is the first odor eliminating substrate for use in reptile terrariums. It can be used with for Bearded dragons, Leopard Geckos, Uromastyx Lizards, desert species of skinks, geckos and Agamid Lizards, and Sand Boas. Product No. REZM-RO8	- Orders Shipped Weekly. Easy to use and maintain. ReptiFresh® can last up to 12 months before needing replacement. 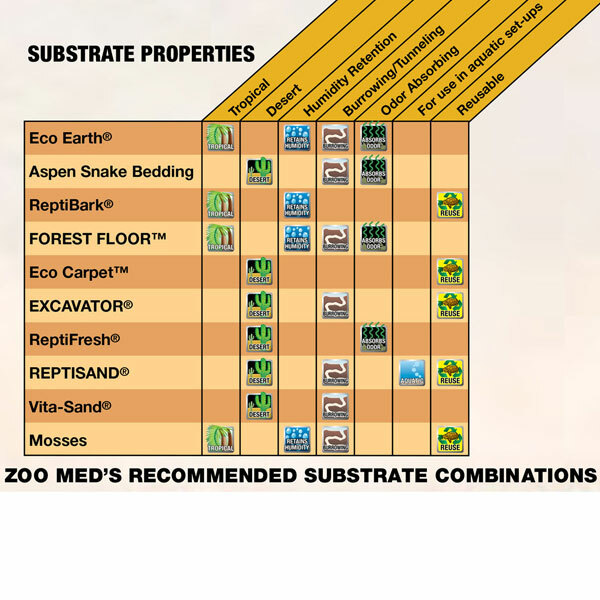 It can also be "mix-in" with Zoo Med ReptiSand®, Vita-Sand® or Excavator® clay burrowing substrate to help reduce odors and stimulate natural digging and burrowing behavior.